Many things challenged and impressed me at the HTB Leadership Conference this past week. All the speakers came for FREE. Including Patrick Lencioni, Bill Hybels & Steven Furtick from the states. Each one of them have diaries that are busting with opportunities that pay big bucks I am sure. But also the host of other speakers who gave their time for free to invest into 1000's of lives. The incredible stories of people who had faced unbelievable challenges and also presented challenges to society. But Jesus had found them through Alpha. A new insight to the depth of spirituality and passion for Jesus in the established church through an Archbishop and a Cardinal. But for me the moment that gave me the biggest insight into the ethos behind the conference was shared by Nicky Gumbel on the last night. The Albert Hall has a few hundred seat which are owned by debenture holders. For any event these seats must be released by or bought back from the holders before any event can use them. A number of seats of these type are in the Royal Box. So HTB wrote to her Majesty asking if she would release the box for use at the conference. 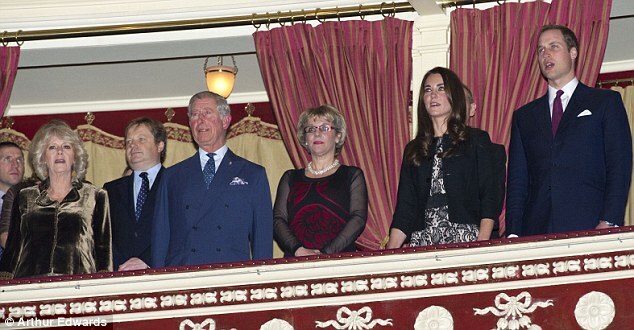 The reply came back that the palace would be happy to release the seats for "our most distinguished guests". Now call me cynical but my experience in church life that many denominations and well known churches would "honour" speakers, friends and family with this seat of honour. HTB said they had placed their most distinguished guests in the box. Ex offenders & homeless! Tony Morgan recently wrote an article about how the culture of honour that seems to be a little twisted in the church of today is hurting us. I believe the HTB team's view of honour reflected a little bit of Jesus!